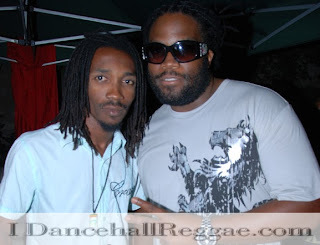 iDancehallReggae.com::Caribbean Lifestyle Media::: BUZZ: IYAH SHINE MAKES THE "HOT LIST"
BUZZ: IYAH SHINE MAKES THE "HOT LIST"
Caribbean Lifestyle Media-Damion Palmer AKA Iyah Shine recently released "livity" to Reggae lovers worldwide. Shine's tune recently made it on Top 10 Reggae singles Charts "Hot List", the singles chart is a weekly feature on Radio Dub Plate, a Canadian based Reggae radio show. The show is hosted by Richard Banton. In a statement from Iyah Shine's management team at IPC Entertainment the good news couldn't have come at a better time. "Well firstly this is a wonderful achievement for Iyah Shine who has been working hard in the studio. The momentum is just starting to pick up behind "Livity" which is in-fact a powerful song that speaks about life and upfiftment but most of all it sends a positive message that we believe the youths in today's world need to survive". Prism Marketing told us, Iyah Shine who also goes by the moniker "Freedom Fighter" noted that while the music industry posses enormous challenges he is determined to make it. "I've always been motivating myself, if you listen to Livity you will hear me say nah give up, never give up jah livity so I just want to let the people know Iyah Shine is here and i'm ready to heal them musically".